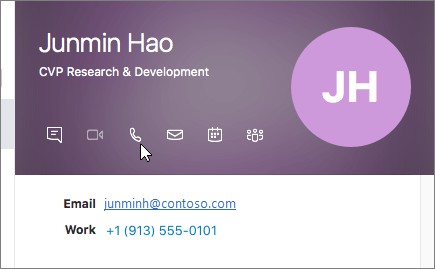 Type a name in Search for Contacts, and select your contact's listing when it appears. Select the contact and select Groups to add them to a group or to Favorites. When you add a person to your contact list, they receive a notification. External contacts must accept your invitation before you can see their availability. Select a contact, and then select Send an Instant Message . Type your message in the Type a message here... box, and press Return or select . 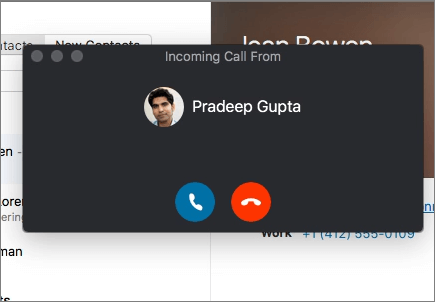 Select a contact, then on their contact card select or Start a Call or Start a Video Call . 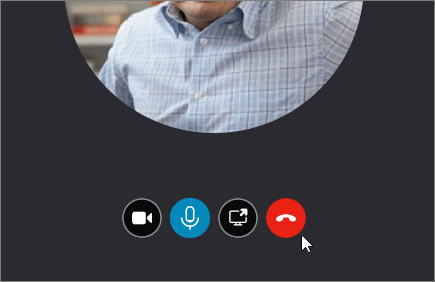 Note: If you don't have a camera, the video call options are not available. Select Answer to accept the call, or Ignore to dismiss the call and send it to voice mail, if available. Select Hang Up or press Ctrl+Enter. Note: To end an instant message, close the conversation window.